Texas Sheet Music collection, 1836-1979, undated (#258): An assortment of songs and sheet music relating to Texas. 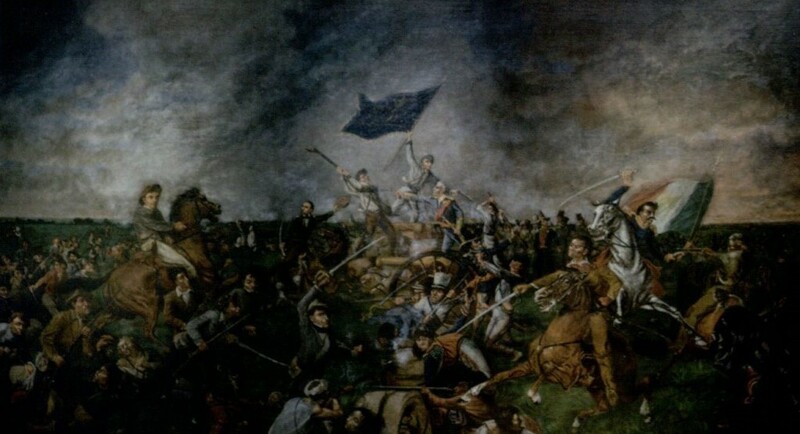 Many of these songs pertain to the Texas War of Independence, famous military leaders, Christmas in Texas, the state flower, the state song, the city of Waco, and life in the American Southwest. 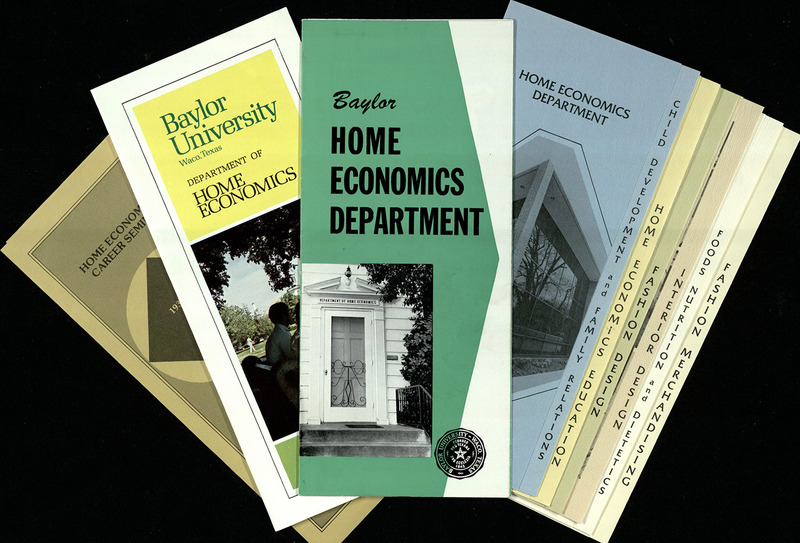 These departmental pamphlets found in the collection highlight the variety of opportunities available at Baylor and historical changes in higher education for home economics as a whole You’ll find these items in the BU Records: Home Economics Department (#BU/107) at The Texas Collection, Baylor University. Rights: Some rights reserved. E-mail txcoll@baylor.edu for information about the use of our images. Visit www.baylor.edu/lib/texas/ for more information about our collections. BU Records: Home Economics Department, 1916-1993, undated (#BU/107): Includes correspondence, education materials, literary productions, and photographic materials relating to Baylor’s Home Economics Department. Esse Forrester O’Brien papers, 1933-1937, undated (#1799): Documents pertaining to the creation of the book Art and Artists of Texas, one of the earliest systematic attempts to catalogue artists in the state of Texas. BU records: Center for Jewish Studies, 1937-2011 (#BU/380): Materials relating to the center’s operations, with financial documents as well as materials relating to special events and programming. Clyde and Mae Porter collection, 1837-1957, undated (#16): Original manuscripts by the Porters concerning the history of German immigrants who moved to southern Texas in the middle of the 1800s. The Porters focused their efforts on the history of the Dresel, Spiess, and Soergel families. BU records: Army Specialized Training Program, 1943-1944, undated (#BU/13): Collection contains programs and rosters pertaining to the U.S. Army Specialized Training Program conducted at Baylor University from 1943 to 1944. Texas Council of Church-Related Colleges records, 1937-1982, undated (#713): Member institution files, administrative files, and financial records of the Texas Council of Church-Related Colleges (1937-1981). BU Records: Baylor Sheet Music collection, 1891-1941, undated (#BU/396): Assortment of songs directly related to events, traditions, and athletics at Baylor University. Harding, Glenn T. Rails to the Rio. [Raymondville, TX]: [Glenn Harding], . Print. 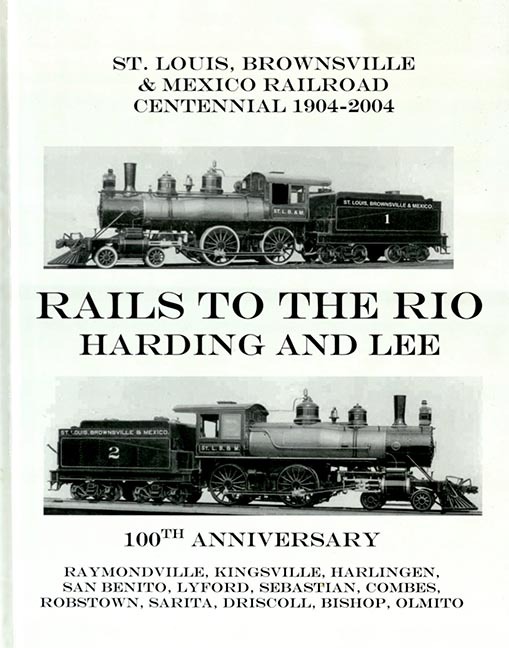 Highlighting the 2004 centennial of the St. Louis, Brownsville & Mexico Railroad, this volume also provides information on towns created and/or affected by rail construction. Click here to view in BearCat. 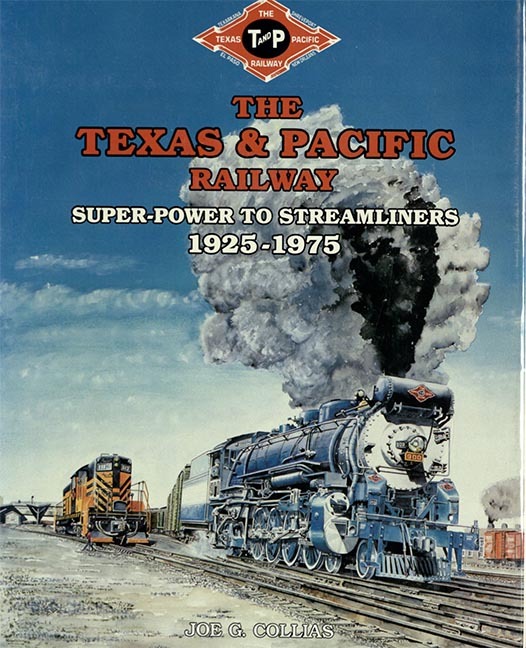 Collias, Joe G. The Texas & Pacific Railway: Super-Power to Streamliners, 1925-1975. Crestwood, MO: M M Books, . Print. This volume provides a deeper look at 50 years of the Texas & Pacific Railway and is filled with many photographs of trains, depots, and rail yards. Click here to view in BearCat. 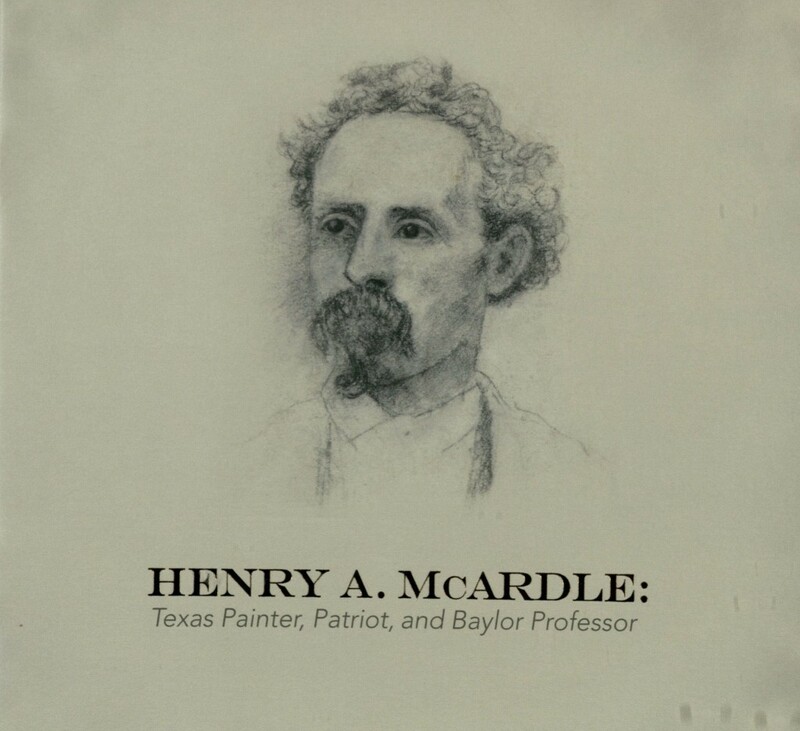 Fine Arts collection, 1903-1982, undated (#3839): Includes five paintings and other framed items from Texas history, Baylor University history, and other topics. 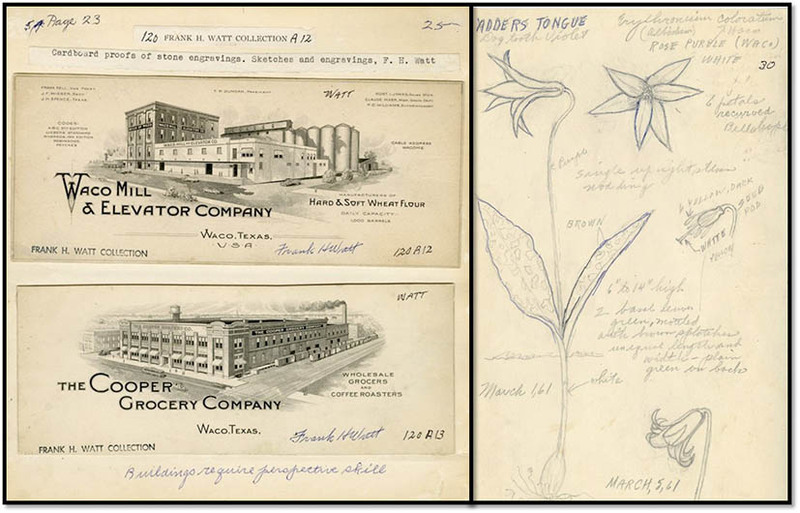 The materials at The Texas Collection include many images of historical Texas and Baylor people, places, and events. 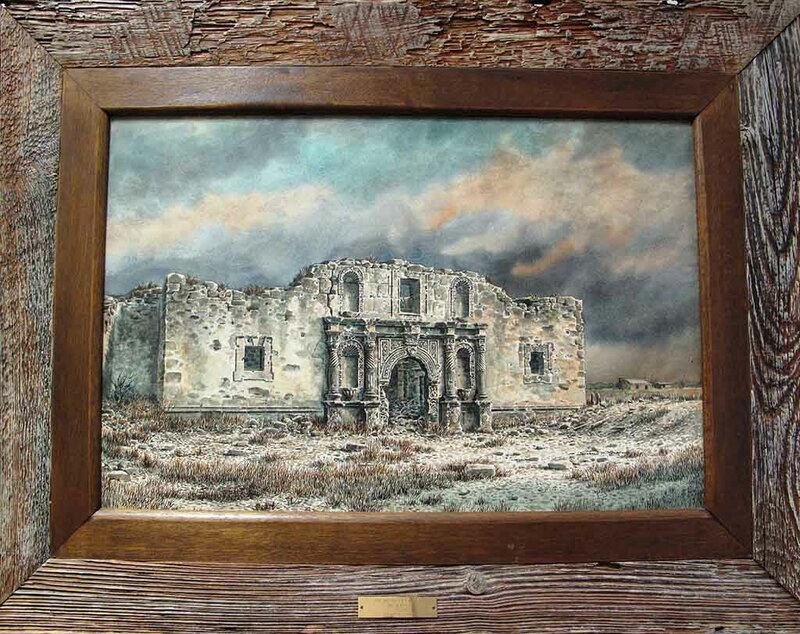 One of the finest paintings in the Fine Arts collection is this framed oil on canvas painting of the Alamo, one of a series of paintings of the San Antonio missions by Donald Yena. You’ll find these items in the Fine Arts collection (#3839) at The Texas Collection, Baylor University. Sanger Family papers, 1874-1990 (#581): Photographs, memorials, family trees, and other biographical materials related to multiple generations of the Sanger family. The Sanger family immigrated from Bavaria to the United States in the mid 1800s. Several brothers worked together to establish the Sanger Brothers Department Store chain in Central Texas following the Civil War. Rufus W. Weaver papers, 1906-1947, undated (#3178): Collection contains materials produced by Dr. Rufus W. Weaver, a noted Southern Baptist pastor, educator, and cultural commentator. Weaver was the president of Mercer University, and his later church-state work led directly to the founding of the Baptist Joint Committee on Public Affairs. Armstrong, Yvonne M. Black Trailblazers of San Antonio, Texas: Their Businesses, Communities, Institutions and Organizations. San Antonio: Inkbiyvonne, . Print. 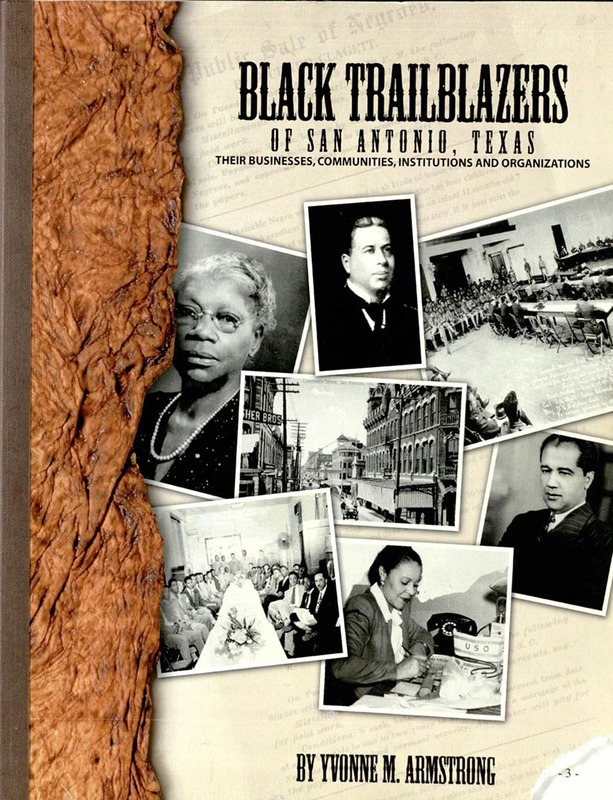 Highlighting the contributions of black San Antonians, this volume contains information on the people, businesses, organizations, and events that helped shaped the city. Segregation, education, and the arts are also examined. Click here to view in BearCat. 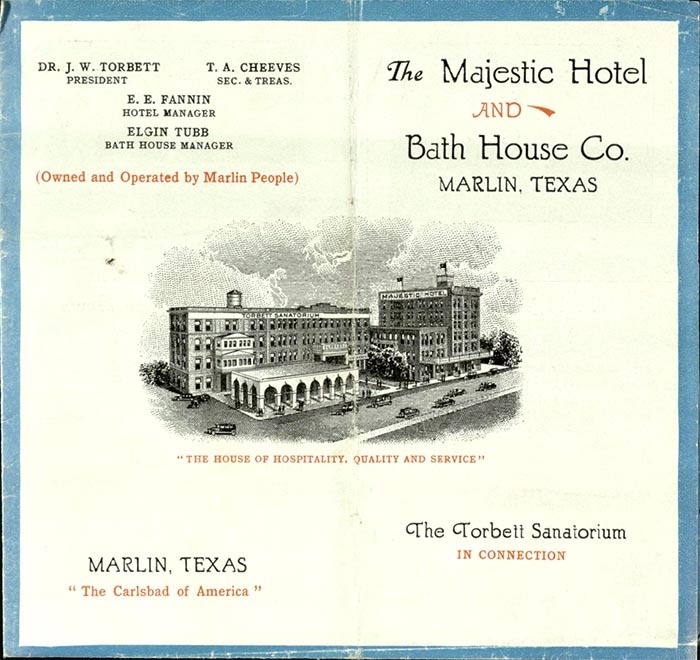 The Majestic Hotel and Bath House Co. [Marlin, Texas? ]: [publisher not identified], [between 1908 and 1920?]. Print. Complete with a bath house, sanatorium, and hotel, Marlin, according to this brochure, is the perfect vacation spot to “regain your health and vim.” Also included is an analysis of the hot waters, which supposedly cure rheumatism, blood and skin diseases, and stomach trouble. Click here to view in BearCat. 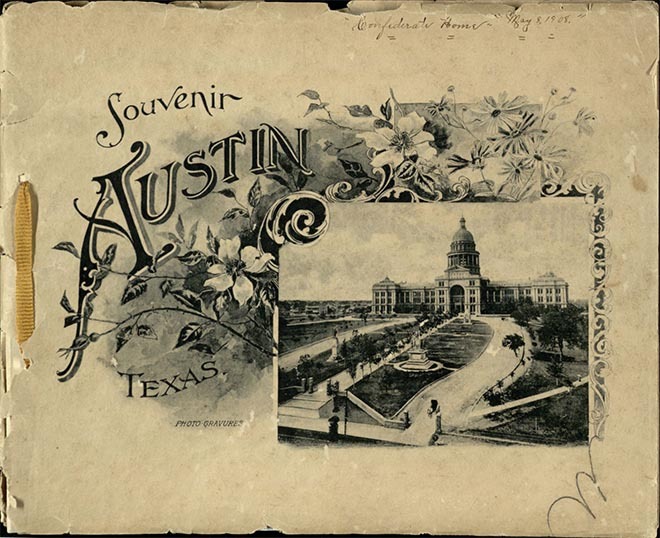 Jordan, E. P. Souvenir of Austin, Texas. Brooklyn, N.Y. : Albertype Company, . Print. This photograph book features images of the Capitol, churches, residences, places of higher learning, etc. Especially interesting are photos of several University of Texas buildings, including a panorama of campus. Click here to view in BearCat. In July 2015, President Obama declared the Waco Mammoth Site a National Monument, and Central Texas rejoiced. About the same time, a less well-known archaeological find occurred at The Texas Collection as I began processing the Frank Heddon Watt collection. 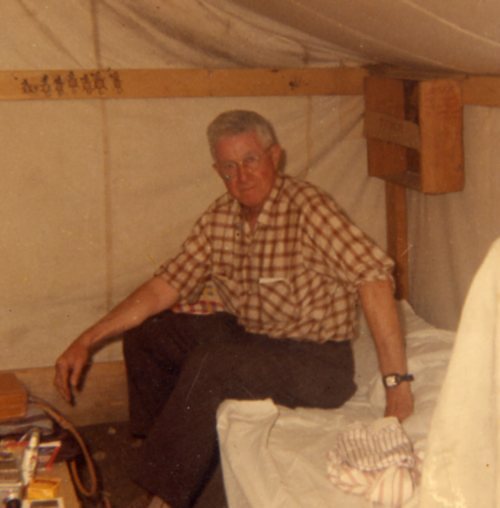 Among his many vocations, Watt was a founding member of the Central Texas Archaeological Society in 1934. And so, while the National Park Service was sharing images and samples of mammoth bones, I was discovering photos of human remains and hand-drawn maps of their burial sites. Over the next eight months, I realized the Frank Watt collection had just as much to teach our archival staff as it had to teach our patrons. Archives are not the only repositories for Native American materials, nor were they the first to ask questions about how to properly handle human remains. In 1990, the Native American Graves Protection and Repatriation Act (NAGPRA) laid the groundwork for museums to examine carefully the state of Native American objects in their collections. The primary goal of NAGPRA was to assure appropriate and respectful use, care and (in some cases) repatriation of sacred or culturally sensitive objects, such as human remains, funerary objects, and objects of cultural patrimony. Museum visitors would notice these changes the most in exhibits that included Native American mummies, pipes, or costumes used for sacred rituals. Behind the scenes, this new legislation required museum staff to complete copious amounts of paperwork and extra work to ensure they were up to NAGPRA’s standards. However, NAGPRA only applied to museums; it offered no suggestions or standards for archives like The Texas Collection or for archival collections like that of Frank Watt. As an institution in the public trust, The Texas Collection believes it should maintain a high ethical standard, even if it is not bound by law to do so. As a result, I believed the images of human remains and the detailed reports of their excavation deserved to be stored and handled both carefully and respectfully. Ultimately, my supervisor and I created a new policy for The Texas Collection; namely, that in the spirit of NAGPRA, archival collections with culturally sensitive materials would be open for public research, but that researchers should maintain a quiet, respectful attitude during their research and that scanning or digitizing culturally sensitive materials would be strictly prohibited. Now that the entire collection is open for research, the Frank Watt collection has much to offer besides archaeological materials. Watt held degrees in lithography and music, as well as teacher’s certification for public school music. He was an avid stamp collector, artist, and cello player. He worked as a printer, stone engraver, hotel serviceman, tree surgeon, and music teacher in Kentucky, Indiana, Kansas, Missouri, and New York. In addition, his military service during WWI included field printing and working as an aircraft mechanic near Houston. In other words, Watt was a jack-of-all-trades and master of several. In his collection, researchers will find samples and collected pieces of lithography and stone-engraving, sketchbooks from his art classes at Winona Technical Institute, and military-issued manuals of aircraft mechanics. At the end of the day, collections like that of Frank Watt are extremely important for both researchers and archivists alike. Naturally, they offer extensive resources for students and professionals in several different fields. They also present an opportunity for archivists to explore how we maintain ethical and professional standards in our institution and help us educate the public about why we do what we do. Bischof, Robin E. “Boxes and Boxes, Missing Context and an Avocational Archaeologist: Making Sense of the Frank Watt Collection at the Mayborn Museum Complex.” Master’s thesis, Baylor University, 2011.